"Sarah Jenks is a joy.... Time and again she proved herself a dedicated artist of the highest rank." Sarah Jenks holds a Bachelor of Arts in piano from Ohio Northern University where she studied under Pamela Ashmore, a Masters of Music in Vocal Coaching and Accompanying from the University of Illinois where she studied under Dr. Julie Gunn, and a Diploma Certificate from Roosevelt University's Chicago College of Performing Arts (CCPA) where she studied under Scott Gilmore. 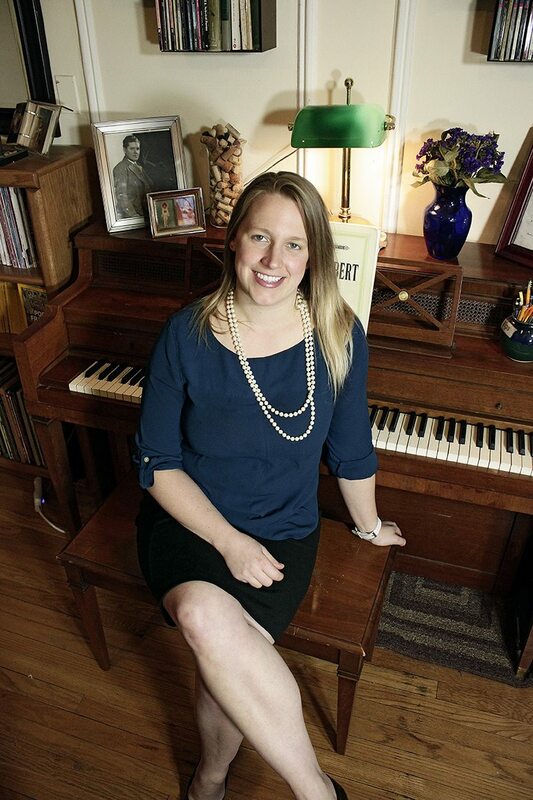 Sarah is vocal coach and accompanist for North Park University's opera department in addition to having served as a staff coach and accompanist for CCPA. She has music directed and performed with numerous opera companies in the Chicago-land area including /kor/ Productions, Petite Opera, Transgressive Theatre-Opera, and Cult Camp Productions, with repertoire spanning from Mozart's Die Zauberflöte to Verdi's Falstaff to Argento's The Boor to Reefer Madness by Studney & Murphy, and everything in between. Opera isn't just for adults, though. Sarah is passionate about introducing children to music and theater as well. She works with Chicago Opera Theater and After School Matters to help high schoolers, many of whom have no prior musical experience, learn and perform musical theater productions. She also accompanies for children's operas for Chicago Opera Playhouse, and accompanies for Lyric Unlimited's elementary program, where children help write their own operas. Sarah also is the music director and LEEAP Coordinator at Immanuel United Church of Christ in Evergreen Park. She has been instrumental in growing their music department. She holds the 2nd Sunday Concert series every month, where she organizes and often performs in themed recitals for charity. Sarah is also a frequent recitalist in Chicago, performing in 8-10 recitals a year.